A few weeks ago we looked through the virtual racks of Discogs to see what old school European techno records were available at a bargain price. This week we stride over the Atlantic to see what the home of techno can offer for less than five UK Pounds. As with the previous blog post the rules remain the same as we looked for records that were at least VG+ in quality and currently listed for no more than £5 excluding postage. We have included sellers from across the globe, so note the postage rates should you decide to track any of these down. Most of the tracks covered below do have more than one copy for sale for below £5, so you should be good to get a cheap copy. As with many releases on the Discogs Marketplace you may find all of the copies for sale on one continent, usually the one that originally released the record. Finally, to ensure high standards, all of the tracks have a Discogs rating of at least 4.00 and higher. Finally, regardless of what you might think, most releases (that Discogs class as 'techno') from at least 20 years ago have not stood the test of time sadly. Nevertheless, here are a few gems that have in our humble opinion. Coming out of Germany and the Tresor, MayDay movement, you could as well pick this up on one of the European labels it was released on. 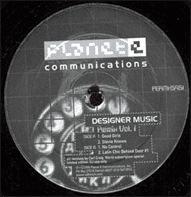 That said, why not track down the version that came out on Transmat in 1992. A true techno classic on a premier label that builds up before crashing down in dramatic style. The flip side 'Spacegenerator' is a beautifully harmonic ambient excursion with lush strings and atmospherics. Some serious techno business going down via Fragile Records with lots of impatient beats and pitch bends with Orlando Voom at the controls. Dream World has a real feel of 430 West Records output with the other-worldly sounds drifting in and out before getting darker. More futuristic militarised beats kick through the track 'Edge of Self Control'. This is pure Detroit business brought to you from a guy in The Netherlands. Carl Craig goes for the full, on techno samba assault with the supreme classic of Good Girls which featured on one of the greatest Radio One mixes of all time by Craig. Relentless, powerful and still incredibly fresh to this date. Really leaning towards tribal house, there is still plenty of Detroit's influences in there to keep the techno crowd more than happy. Fuse or better known as F.U.S.E stands for 'Futuristic Underground Subsonic Experiments' and is the brainchild of techno legend Richie Hawtin. Originally released on his native Canadian label Plus 8, it also appeared on Warp Records. The best version Train-Trac 1 doesn't appear on this US release sadly, but the three more mellower, acidic versions that do appear and are still worthy of seeking out. Fast as a speeding train and pretty relentless, it is Richie Hawtin after all, what did you expect? Seriously, if I did not own this already I would be rushing out to buy a copy. Incredibly sublime techno funk by the underrated UK producer Russ Gabriel. This peach of a release came out on Carl Craig's seminal label on a glorious 10 inch golden brown vinyl and it well worth tracking down. Not pure techno, but ultimately cosmic and from another world, still fresh 21 years on. 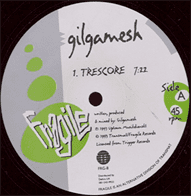 Coming from the Transmat off shoot, Fragile was their more left-of-centre label and Trescore is one of the imprint's finest moments. Relentless in the high end four on the floor, arpeggiators roll onwards and upwards as the track builds upon levels creating a frenzied ending that could still drive a packed floor into orbit. The flipside, Delta Rain Dream is analogue ambient at the harder end of the scale that twists and turns, keeping the listener on their toes. Another legendary release from back in the day for less than five Pounds, what's not to like? 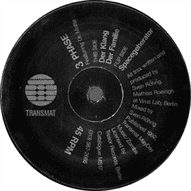 Carl Craig on the production duties as this sublime techno release brings the carnival to the club with a real feel of Manuel Göttsching e2:e4 (Sueno Latino went on to later sample this for their Ibiza classic). Still incredibly fresh and pretty clever in how it adapted the e2:e4 original vibe and made it work in a new setting. As you can imagine, there isn't a lot of Underground Resistance music you can get for less than five Pounds but we managed to find a true classic. When UR decide to get vocal and soulful, they do it as well as anybody else as this track exemplifies. Still sounding incredible thanks to Yolanda Reynolds gorgeous voice. The classic UR techno sound is there in the background behind the uplifting strings and vocals. A proper end of the night kind of tune that is still very fresh 26 years on. 430 West always leant to the more soulful, warmer side of techno but this release features the superbly titled 'Mindmelt'. One of the more underrated techno releases of the early 1990s, this leans very heavily to European rave influences but has a metronomic, robotic drum beat keeping it very much within the Detroit boundary. Given that the artist behind the release is techno stalwart Jay Denham then it still deserves attention. Got me Movin' and Positive Problem also lend heavy instructions from the burgeoning rave scene, whilst Peace Out moves into techno house territory. Certainly worth purchasing for Mindmelt it you like heavy techno with lead weight piano added for good measure.